There are people who make it to the news for the wrong reasons (read Osama Bin Laden or Rahul Mahajan to be closer home and time)... And there are people who make it to the news for the right reasons. Thankfully, Toybank belongs to the latter category! Not that Toybank is patting its back and basking in the glory, but it's a good and encouraging feeling that our efforts are being accepted as worth being spoken about. And, the need of the hour is also awareness so that we can benefit from it and have as many people contributing as possible in taking us closer to our dream, which we are slowly but surely making a reality, of helping the underprivileged kids find their lost childhood. We are taking immense encouragement from the fact that a prime news channel like CNBC has given us a platform to spread a word about our aspiration and featured us in their esteemed channel. And, we want to share it with everyone who has supported us. As we take our baby steps, please be part of the journey so far, that has just begun. This evening, June 8, 2006, please tune in to CNBC at 7.00 PM for an interview with Toybank. And should you miss it today, do catch the rerun on Sunday, June 11, 2006 at 12:30 PM. And, yes, we are looking forward to feedback. Bricks are as welcome as bouquets. It's only this way that we will learn and grow! ...cant watch the show today....blasted delivery tomorrow.. :x ...will catch the rerun on Sunday! 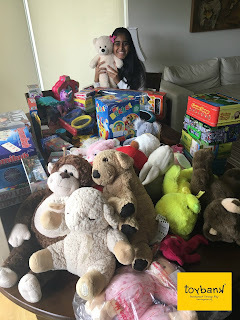 You guys have done a good job by creating toybank. Watched you on TV, felt good that our cause is spreading across. I had something to share with you...We need to go beyond just giving toys to kids...we need to send a message with our toys. Something with which they could enhance their skills. 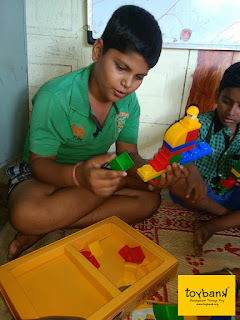 For instance, by giving Lego sets to children, we would be developing their analytical thought process.Let me know your views over this.